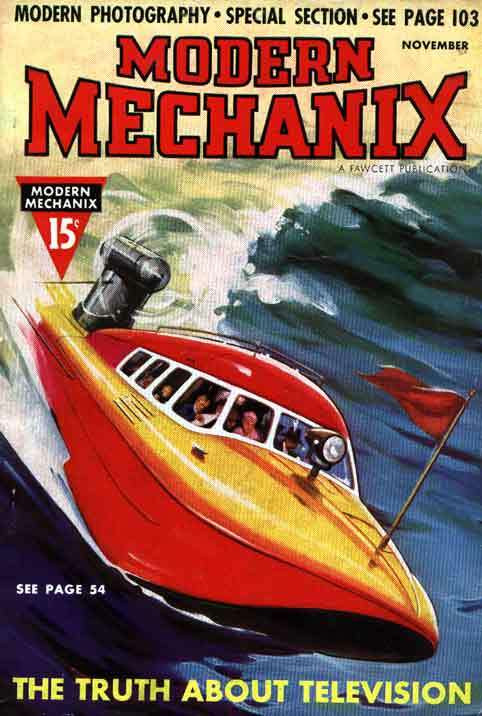 This section provides cover scans of the popular hobbyist magazines leading up to the launch of television, not only in the United States, but also England and France. 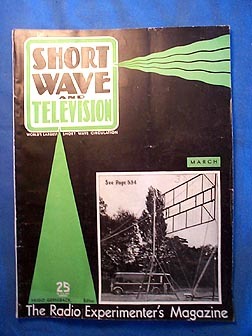 1938 Olympia Program - Talks about owning television, selecting screen size, popular models for sale and what programming you can expect to see in the London, England area. Electronic television first came to England in 1936. 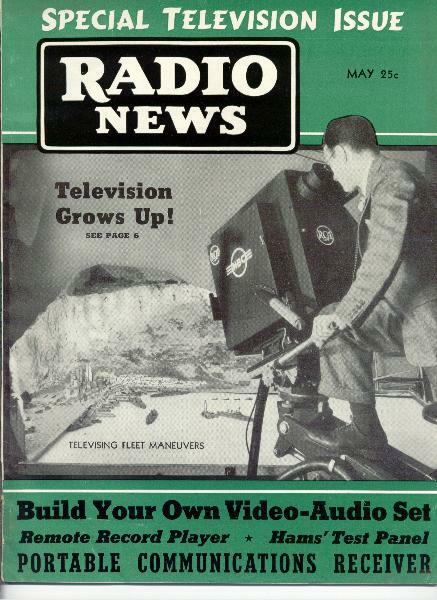 "Television on the Way" - Here is a look at what the American newspapers were saying about television on May 22, 1938, approximately one year before the actual launch took place. "Television", it says, "..is still experimental, but making strides". The magazine editor had the art department 'blank out' the NBC and RCA symbols on the side of the camera behind the young lady, Miss Betty Wragge. Enlarged text, for easy reading. Bottom half of the newspaper, showing "Miss Patience", a wax dummy used for on-camera shots. Also shown is a view looking inside a television camera, with the iconoscope tube (the camera's eye) in place. The third photo is a picture of the pretty Betty Goodwin, who was chosen to announce the early experimental television programs. Betty, therefore, is the first American female television announcer. The title of the first female television announcer in the world goes to Elizabeth Cowell, whose first on-camera appearance was 31 August 1936, working for the BBC (British Broadcasting Company), of London, England. October Alumni Issue - Has great article about "Television Grows Up"
Click here to see inside this issue! A close look at the first year of American broadcasting. Click here to read more.